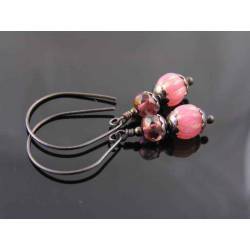 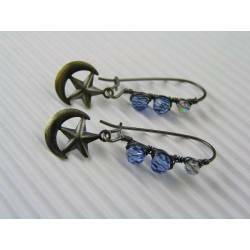 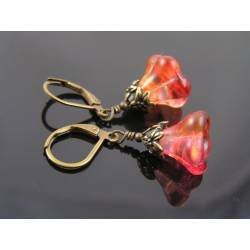 Dramatic color combination in super light weight earrings. 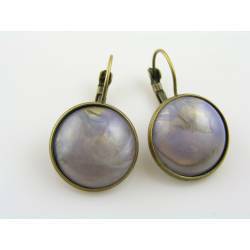 These would be just perfect for a night out as they are super light weight. 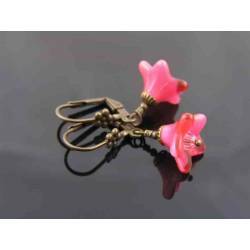 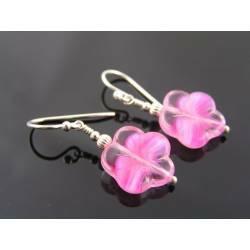 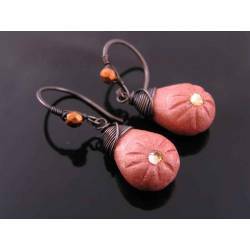 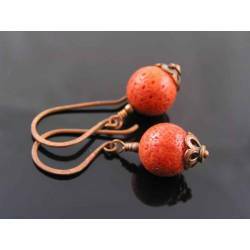 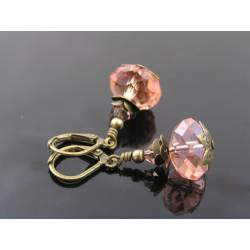 They have a gorgeous baroque shape and the colour very much stands out. 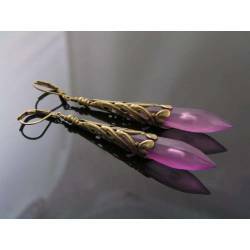 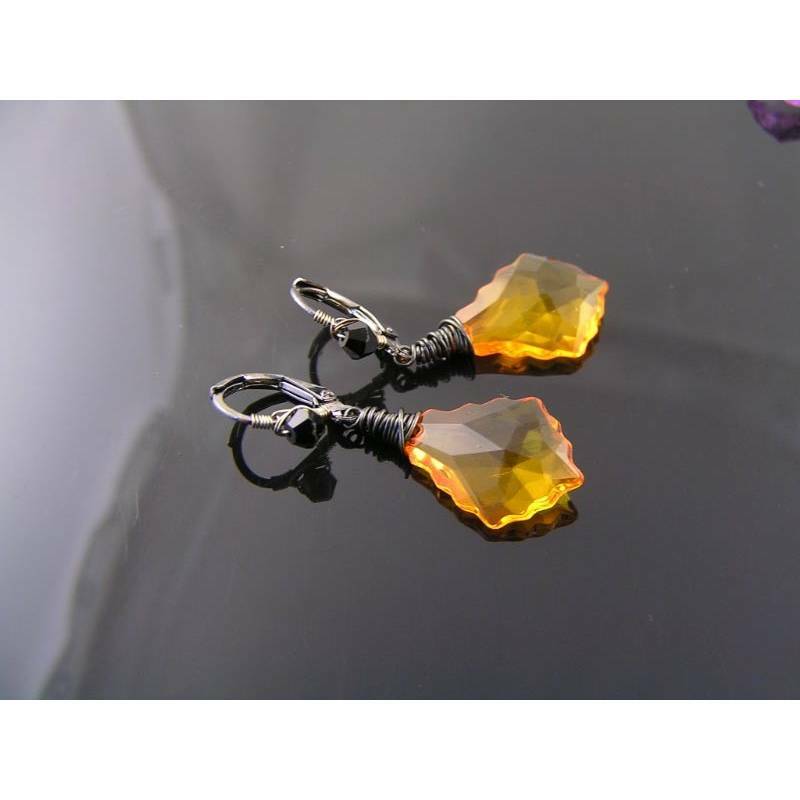 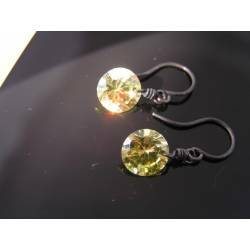 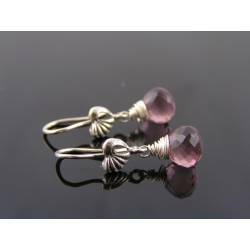 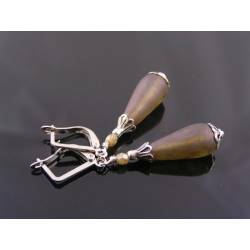 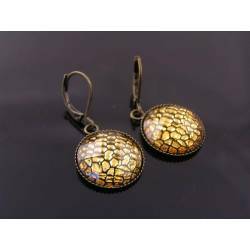 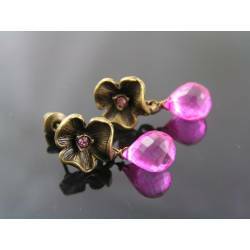 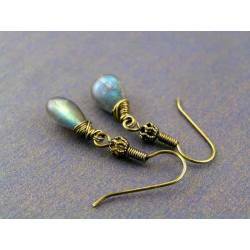 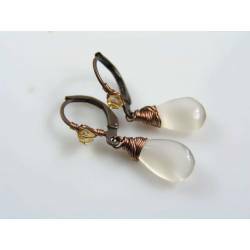 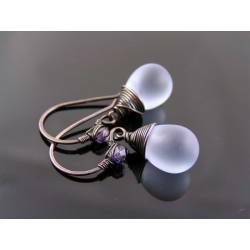 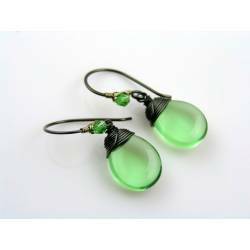 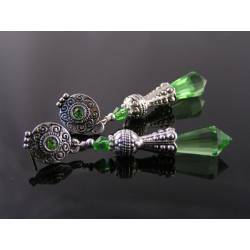 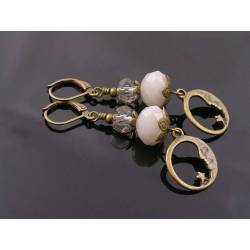 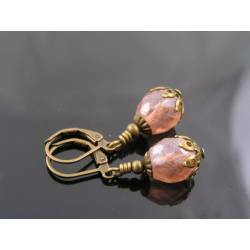 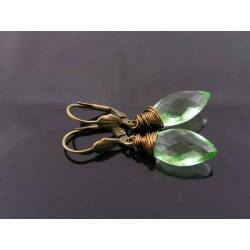 The faceted drops are made out of lucite and have been wire wrapped to secure lever back ear wires. 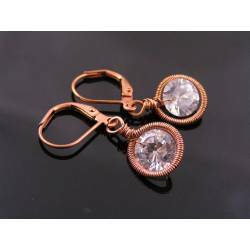 The ear wires have been further embellished with wrapping and a black crystal. 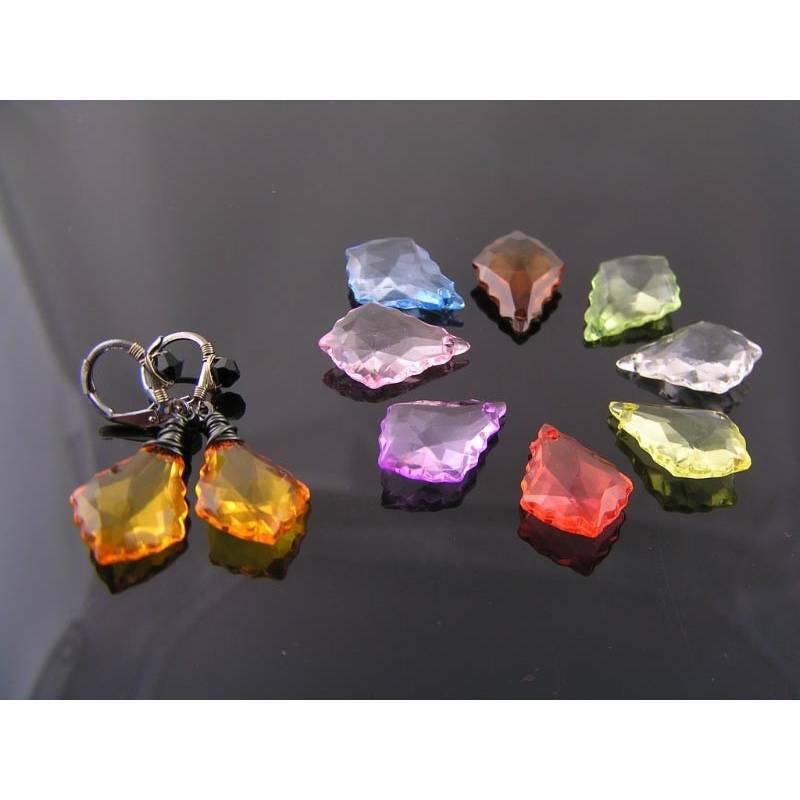 You can check out all available colours on photo #3. 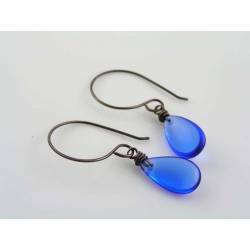 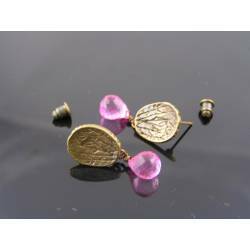 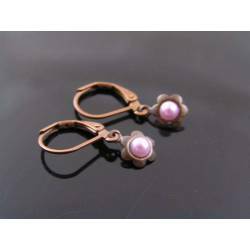 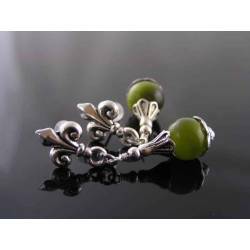 Total length of the earrings is 4.5cm. 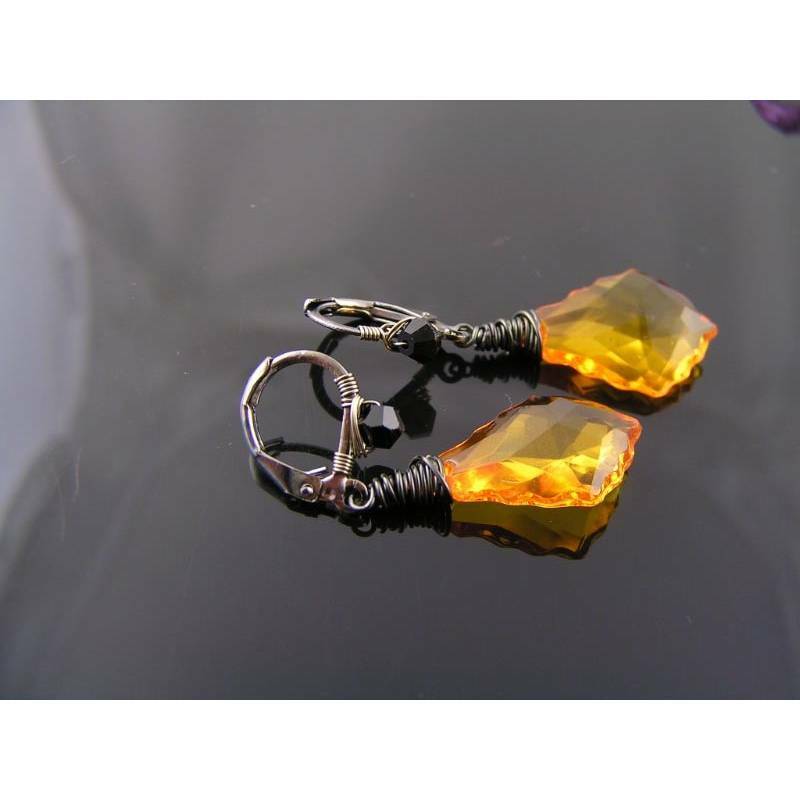 All metal is gunmetal finished.